If you’ve been following us for a while, you’ll know we love road trips. 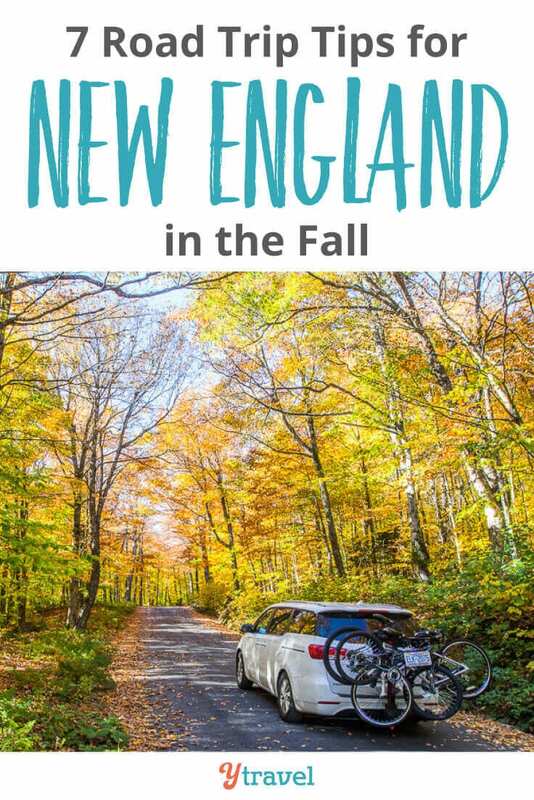 And a New England road trip in the fall has always been high on our bucket list. Back home in Australia our trees are mostly evergreens. And since moving to the USA in 2004, we’d never made it further than New York City. 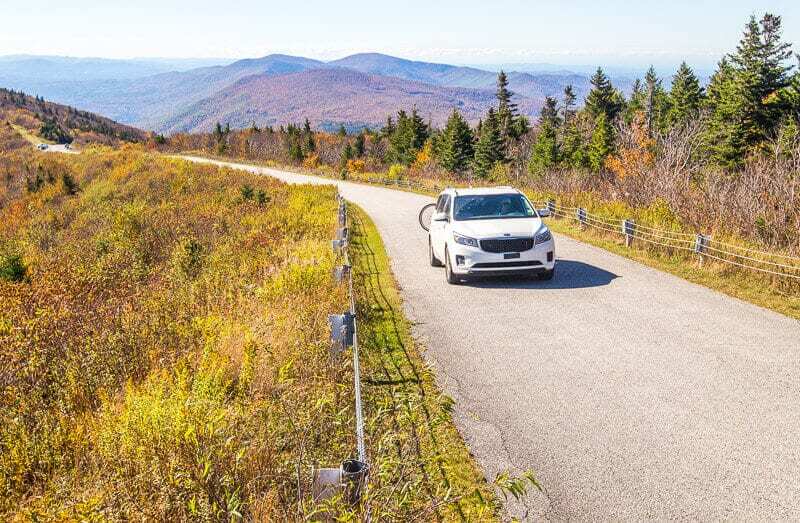 That was until, last fall, when we road tripped through Vermont and New Hampshire. The region offers natural beauty, culture and incredible history. 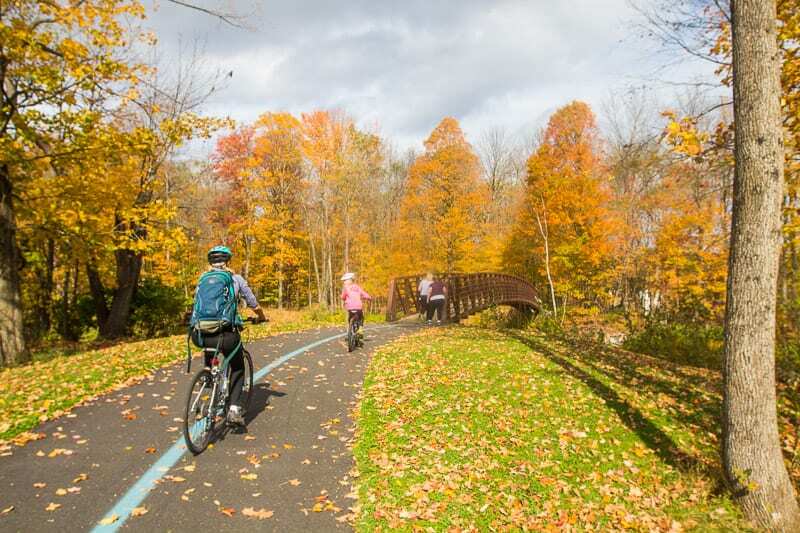 But when you think of New England, you might think of it’s world famous fall foliage. It’s one of the most popular things to do in New England. In fact, chasing the New England fall foliage has become so popular people are referred to as “leaf peepers”. All up we spent a week exploring Vermont, taking in Manchester (one of the best New England towns), the Green Mountain National Forest, driving through covered bridges and along the famous Vermont Route 100. 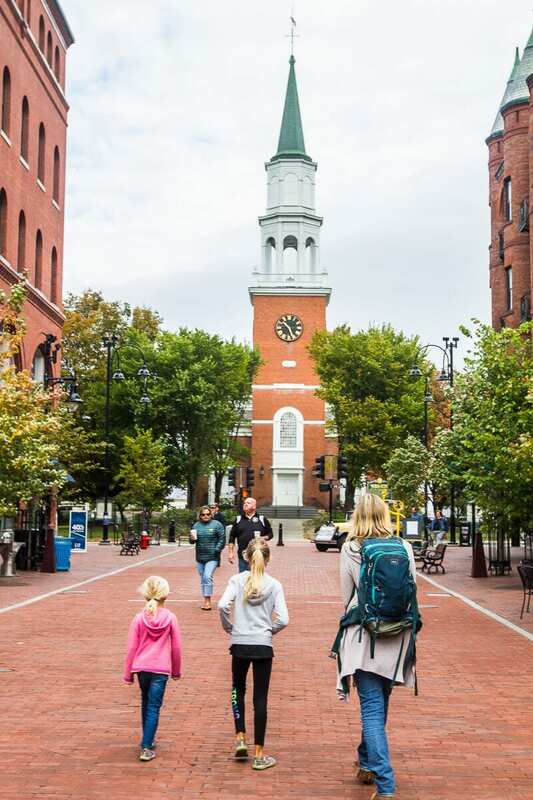 We also visited Burlington and picturesque Stowe – one of our favorite places to visit in New England. Then we had a few days in New Hampshire exploring the White Mountains and Franconia State Park, and drove along the spectacular Kancamagus Scenic Byway! 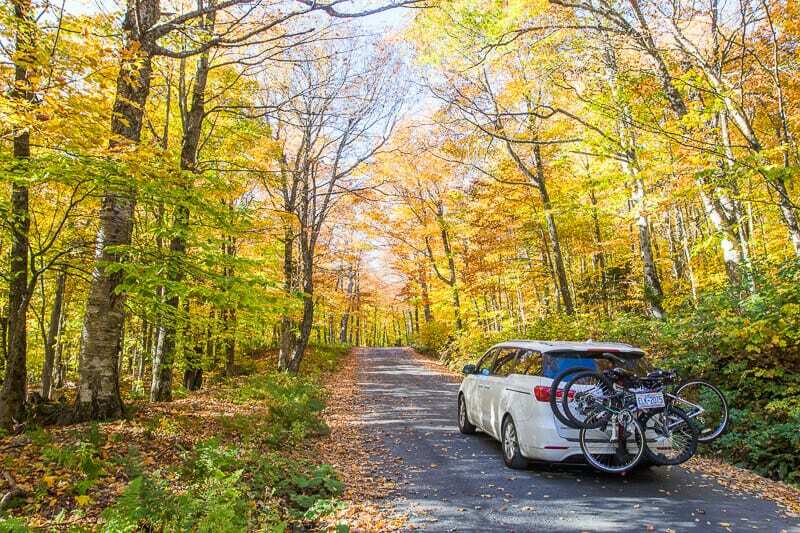 Below are our travel tips for planning a New England fall road trip. 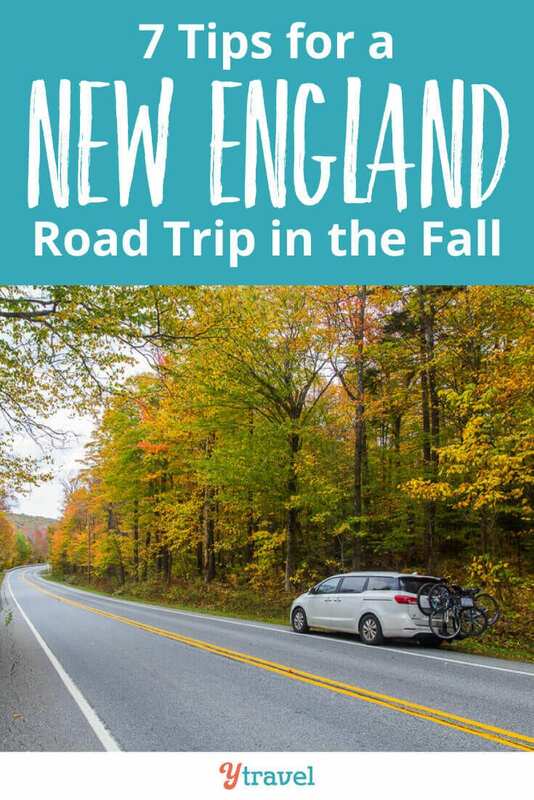 If you plan to road trip New England in the fall, typically late September to mid-October is considered the best time to visit New England to see the fall foliage. It can be a bit of a challenge to time your visit for “peak” viewing of the leaves and when they are “popping”. Check out this fall foliage map or this one for a guide. 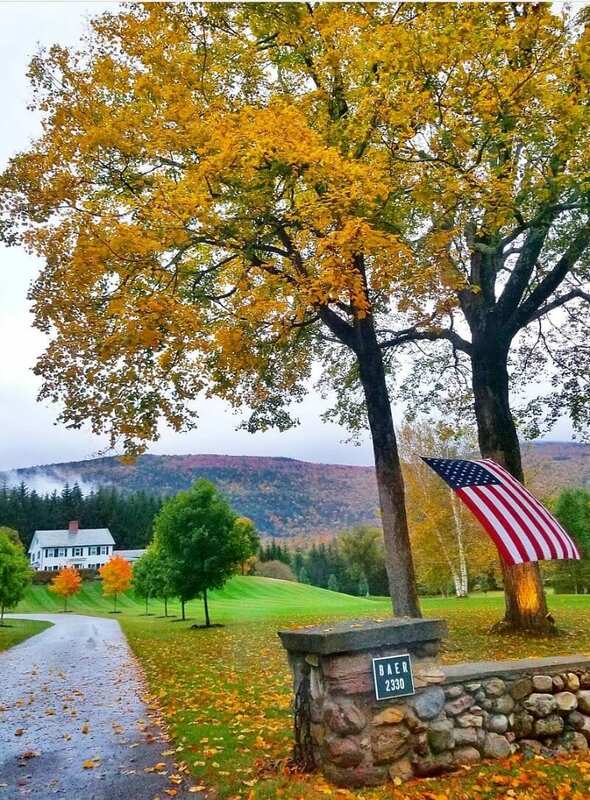 The changing of the colors is a different show every year due to temperatures and moisture leading up to it, and the leaves begin to change first in the northern most states, Maine peaks first, so keep an eye on Maine then follow their progress down. We were about a week too late to see them really popping in Vermont and New Hampshire, but they were still more beautiful than we’d ever seen before! Although we only visited Vermont and New Hampshire, we did drive up to New England from our home in North Carolina which took in Connecticut and Massachusetts briefly. But apparently you can’t go wrong with anywhere in New England in the fall. Just keep in mind that prime leaf peeping conditions often last only a week or two! 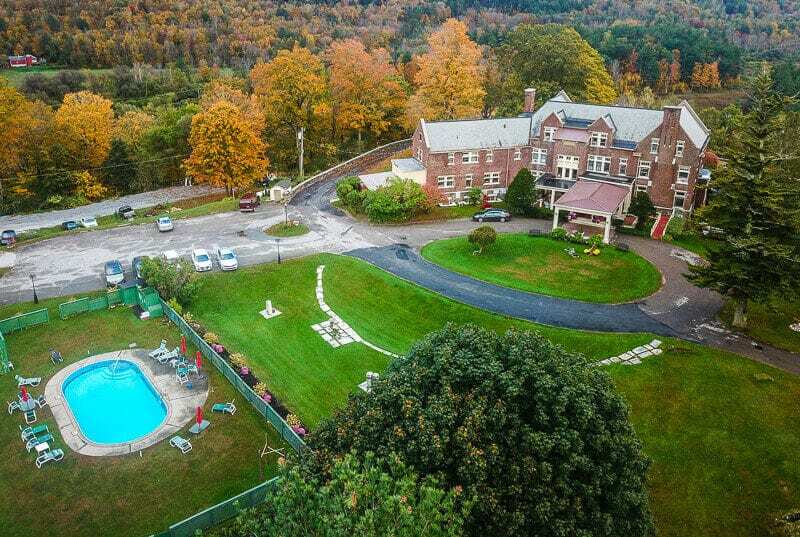 As mentioned, visiting New England in the fall is popular which means higher prices and booking ahead as much as possible. Or, if you don’t mind embracing the road trip spirit and booking accommodations on the spot, you can get lucky with last minute deals. To look for hotels or apartments and guest houses, we start with Booking.com. And also check reviews on Trip Advisor. 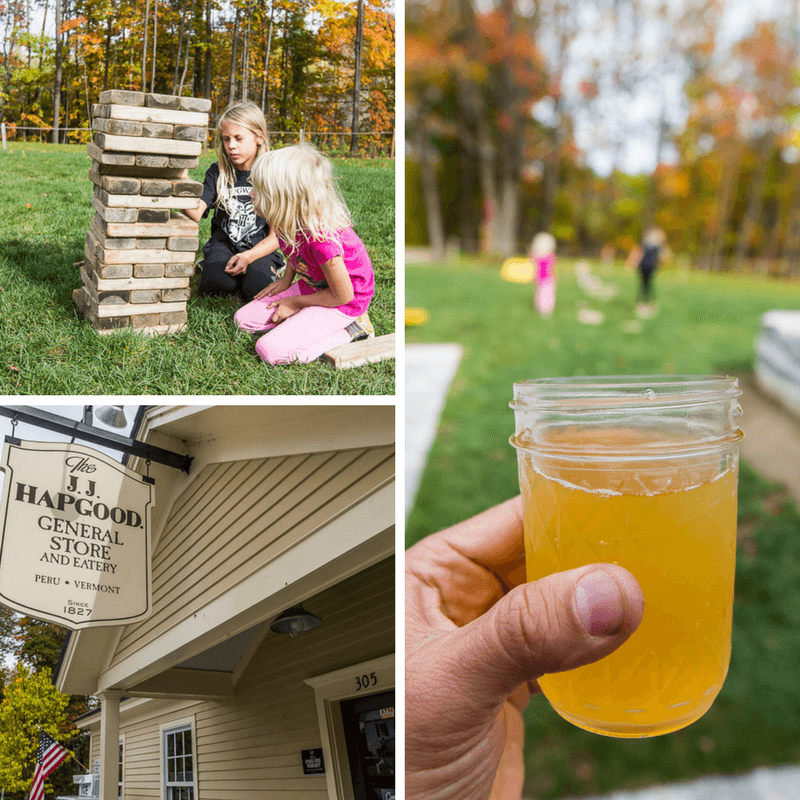 Another site we partnered with on our New England road trip was Glamping Hub who have unique properties and it was through this site that we stayed at our charming cottage at Wilburton Inn. And if you want to stay in someone’s home or apartment, obviously Airbnb and Homeaway are other sites to consider. Depending on the size of your traveling party, you can even just book a private room in and Airbnb property whilst they are still there which is cheaper and you do get the locals perspective! We also like to use our American Express credit card which accumulates points we can use towards booking hotels through their travel portal as another way to save money. Stay More Than 1 Night – many hotels provide their best deals when you stay over more than one night. Stay over Sunday – many hotels receive Friday and Saturday night bookings from leisure travelers and Monday-Friday bookings from their business travelers, so there can be a void on Sunday nights. Check for Family Deals – Always ask about discounted rates, free meals for children, and an upgrade at check in – they can only say no. If you are driving into New England from your home like we did, you’ll obviously have your won car. But if you live too far away or are flying in from overseas, you’ll need a rental car. 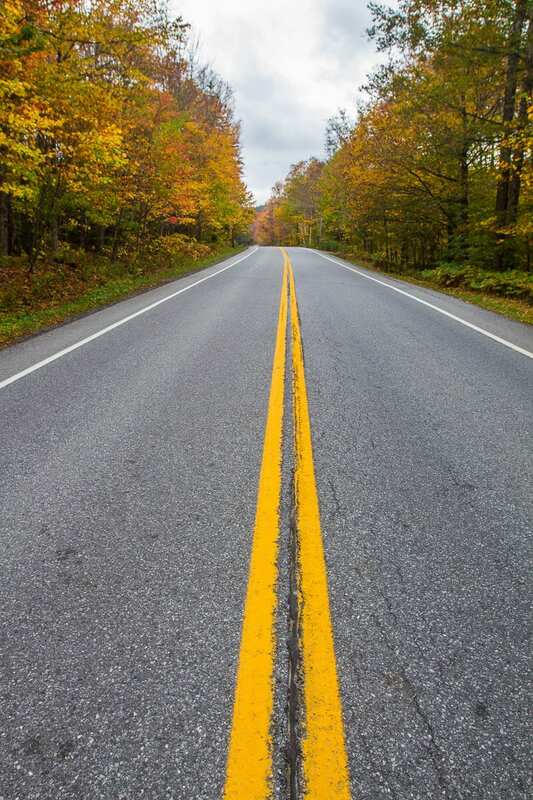 The best way to visit New England and explore the small towns and scenery is by doing a New England road trip. If flying in, the obvious starting point is Boston. 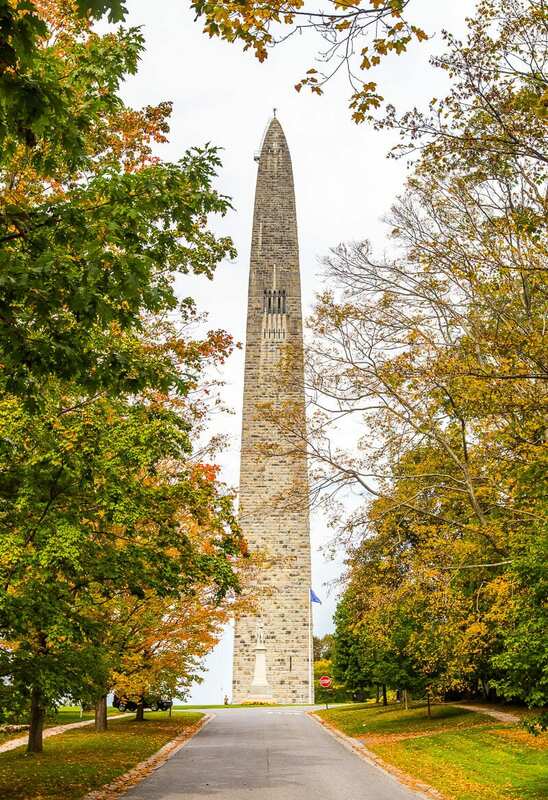 You could easily spend a day or two in Boston exploring all the incredible history. Consider walking the Freedom Trail, or even popping out to Harvard University. Read More – 19 tips for saving money on rental cars. 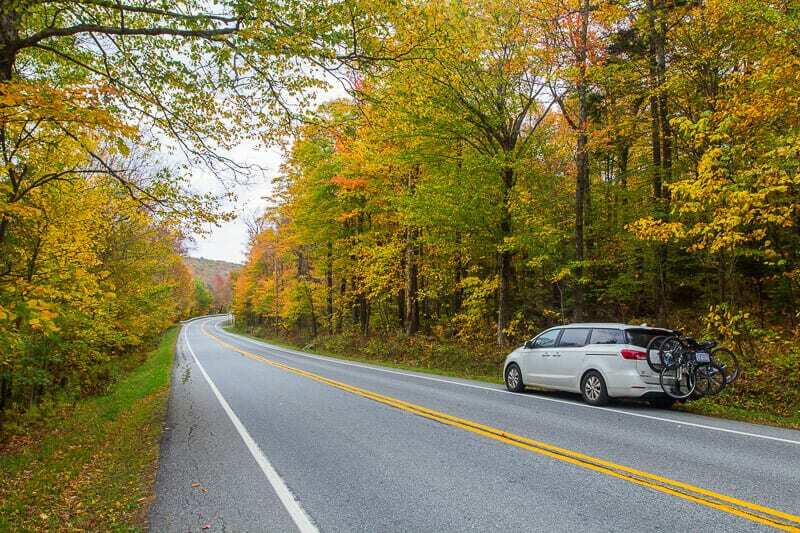 If you don’t want to drive your own car, or even rent a car, Viator offers a one day fall foliage tour from Boston. 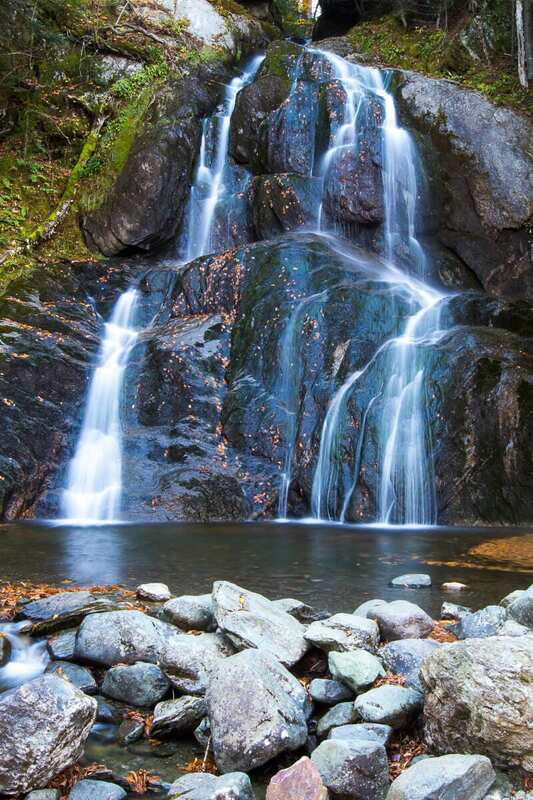 Or, to go in-depth, a 10 day New England fall foliage tour including Cape Cad. 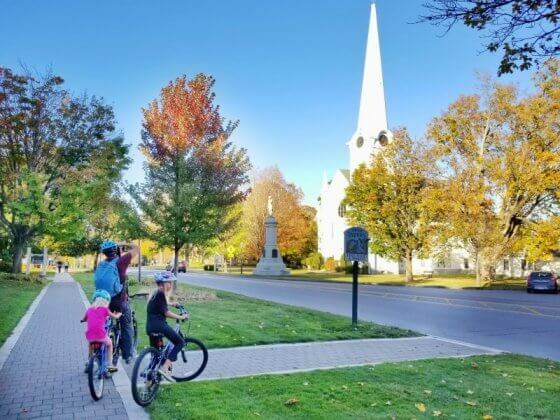 Fall in New England is a busy time, but the weekend’s are especially busy as not only do you have tourists, but locals on their days off from work leaf peeping! 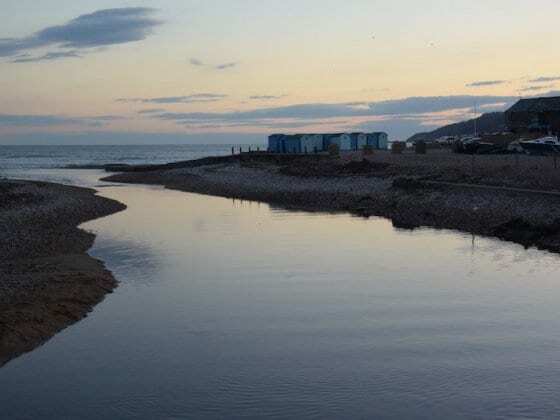 So if you can time your New England road trip to avoid weekends and make it a midweek trip it will help you to save money on high priced accommodation and avoid the crowds. And keep in mind local events and festivals, which can also add to demand for accommodation and raise prices, so avoid those dates as well. As a family of four, eating out three times per day adds up real fast. So where possible we like to stay in apartments or guest houses or Airbnb’s that have kitchen facilities so we can self cater as much as possible to save on eating out. By staying in places with a refrigerator you can store breakfast foods, snacks, and bottled water. Purchasing your own supplies from the grocery store can save you big bucks. 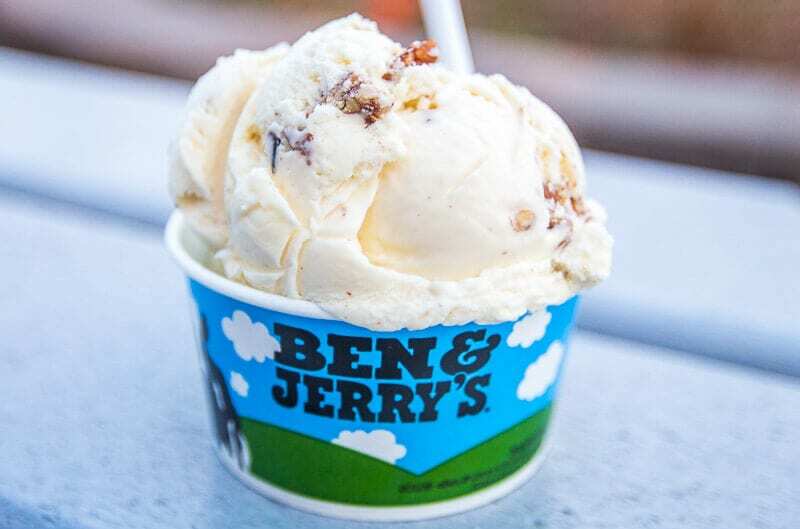 But we like to experience the local food as much as possible, it’s a big part of the traveling experience, and we always get the best tips from asking the locals or from our online community. And you do want to try classic New England foods like clam chowder, lobster roll (seafood in general), maple syrup and warm apple cider! So finding a balance between eating out and self-catering is important. Go out for Breakfast or Lunch – Try and avoid dinner as restaurants raise prices. OR, have brunch instead of 3 meals a day. Many restaurants offer lunch specials where items on the dinner menu are offered for a fraction of the cost you’d pay for the same meal in the evening. One meal for two kids – Our kids are young enough to share one kid’s meal so on most occasions we only buy one. You can always buy another if they’re still hungry but you can’t send one back! Pack plenty of healthy snacks for yourselves and your kids for the car. Bring an insulated stainless steel water bottle that you can refill (buying water several times a day adds up). On our drive up 1-95 from North Carolina and then into New England, we couldn’t believe how many times we were confronted with a toll booth. Once we pulled off the interstate to get gas, and right off the exit was ANOTHER toll booth! We ran out of cash there were that many collection booths! And we’d never heard of an EZ Pass before (an electronic toll collection system used on most tolled roads, bridges, and tunnels) and were initially confused as to how the whole system worked – luckily there are still humans working at some of the booths! So get yourself an EZ Pass for your car or talk to your rental car company about including one. 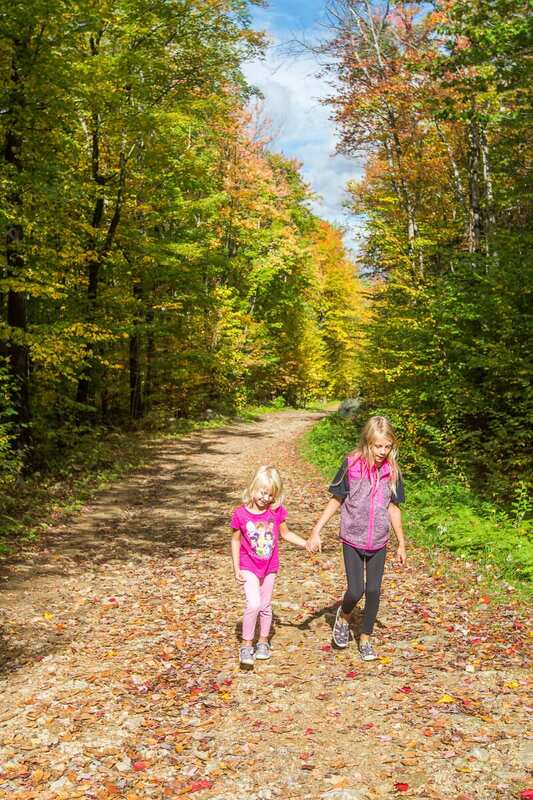 Hiking the Prospect Rock Trail in Manchester, Vermont. We always make a point of stopping in at the local tourist information centers. 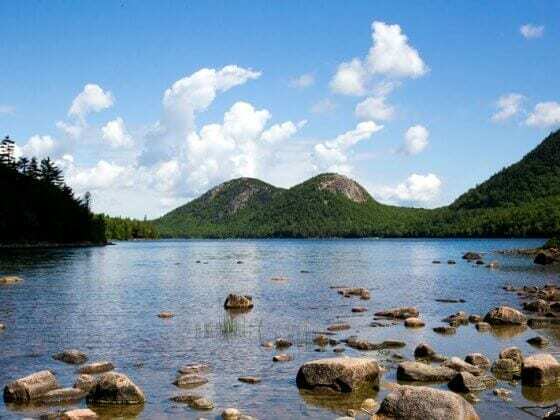 The locals working here know all the best places to visit in New England and are a wealth of knowledge, and that includes the New England foliage. Plus you can pick up maps and information on all the free things to do in each town, ask about the best places to eat and drink, if any events or festivals are happening, and get tips on the best hikes and photography spots. And, they often have coupon books for attractions and even accommodation. This looks beautiful! I’m from North Carolina and I’ve wanted to visit New England for years, just never got around to it. I’m not in the states right now, but when I get back I will definitely be hitting up the Northeast and use some of your advice. New Hampshire and Maine are huge points of interest for me and I really want to try the clam chowder. Thanks for sharing. Happy to hear you enjoyed our New England road trip post, and that you’re from NC! 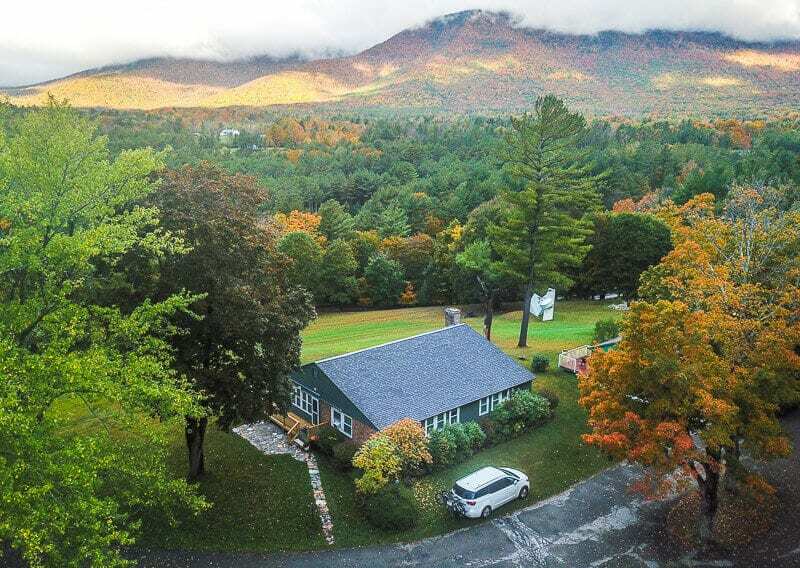 We didn’t make it to Maine as we were late in the season and missed the changing of the leaves up there, so decided to concentrate on Vermont and NH. And yes, eat all the clam chowder!! I hope that in the future, I will be able to travel around the world like you. This is my dream for many years. Unfortunately I may not have as much time as you, and also I don’t have enough money to support me. But I will not give up my love for travelmy current job is also in the travel industry,one day i will use some of your advice and experiences and take my lover have a road trip like you. Reminds me of the New England tour I did from the UK back in 1990. A trip up Mount Washington can be recommended! Thanks for the memories! The toll roads are insane. I’ve never come across anything like it before. What a wonderful city. I still want to have the pleasure of meeting you. It seems incredible to visit it in the autumn. What I find key from this is how budget savvy you are – especially regarding room and board and toll fees. 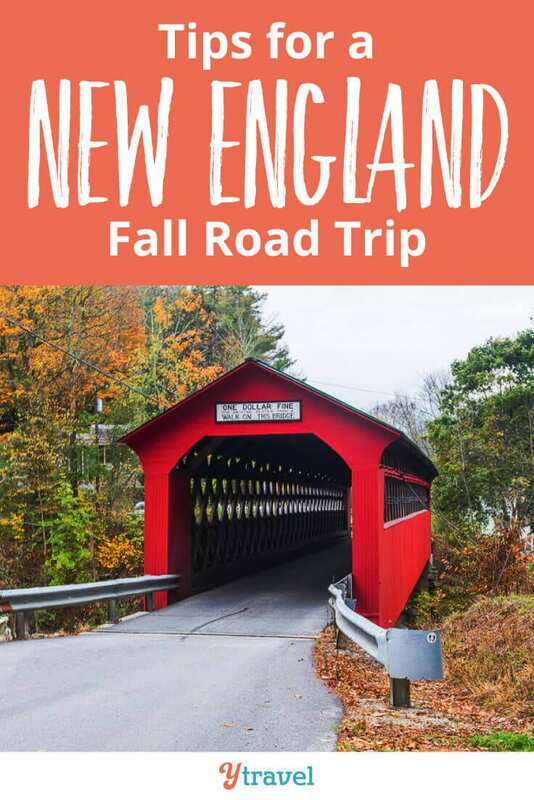 I didn’t know that there were so many toll fees in New England and that’s an important insight for a trip I am planning on taking during next year, Fall. My husband and I want to rent a high clearance vehicle and camp at some of the national parks for about 2 weeks. Camping is a big money saver but it’s not always convenient for folks. Love your blog!